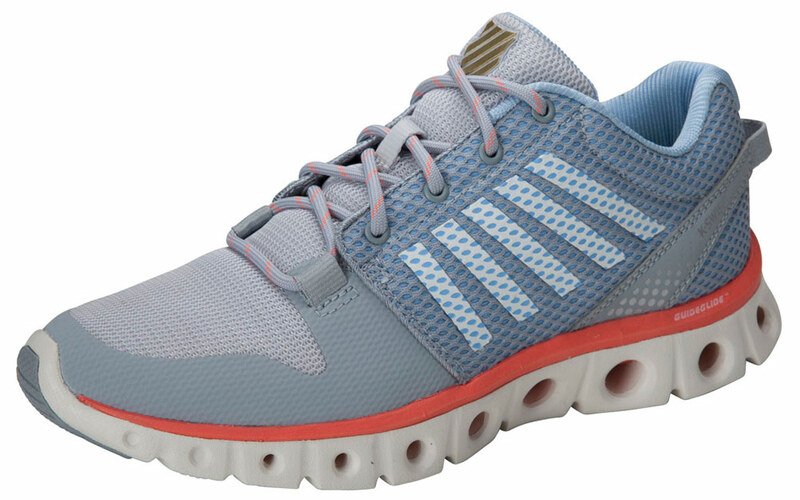 The XLite Tubes from K-SWISS provides an amazing responsive heel-to-toe transition. Smooth, supportive leather upper. Padded collar with achilles heel notch for added mobility. Stay-tied laces act as a "catch" to keep laces firmly tied. Textile lining with removable, molded-EVA sockliner. Cushioning is achieved with correctly-engineered cylinders offering controlled shock dispersion. A smaller, anatomically-placed cylinder on the medial side offers great stability. EVA midsole provides maximized cushioning and enhanced durability. Features full-length cylinders for excellent flexibility, support and stability. Heel height 1 1/2"